Tap into our robust backhauler.com® network to have access to the first and best choice of available loads. 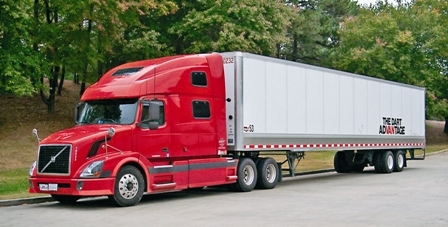 We have the freight to move - Dart Advantage Logistics coordinates over 60,000 loads annually. We combine an aggressive sales effort with a national network of strategically placed operations and sales agent offices to secure freight for you. Our sophisticated software system can even notify you electronically when we have an available load in your primary lanes that requires your equipment, keeping your telephone lines open. The quickest and easiest way to get set-up with us is to fill out the Carrier Packet located on the right sidebar fax to 651-681-6300 or e-mail to dalcarrier@dart.net. Click to view available loads. Either call the phone number associated with the load OR contact your Dart Advantage Logistics representative to obtain carrier log-in information and book the load directly from this site! Carriers: Get Set Up Today! To get started, please click on the link below to complete your carrier profile.